It’s the most wonderful time of the year! Not Christmas, with the consumerism and the relatives you don’t like. Halloween is the holiday that really gets in my blood. And I wish you a happy one, friends of Moviocrity! I had the opportunity to be on another wonderful episode of the Spoiler Room, host by Mark “the Movieman” Krawczyk. The topic this time – What are the best films to watch during the Halloween season? Since I had already written a series counting my top 5 Halloween-themed movies two years ago, it was a cake walk picking mine. Joining Mark and I with our picks are Tony Estrada, Paul Salzer and Andrew Shearer. You even get to see my chubby, squinting mug during this one! So, you know, a bonus. 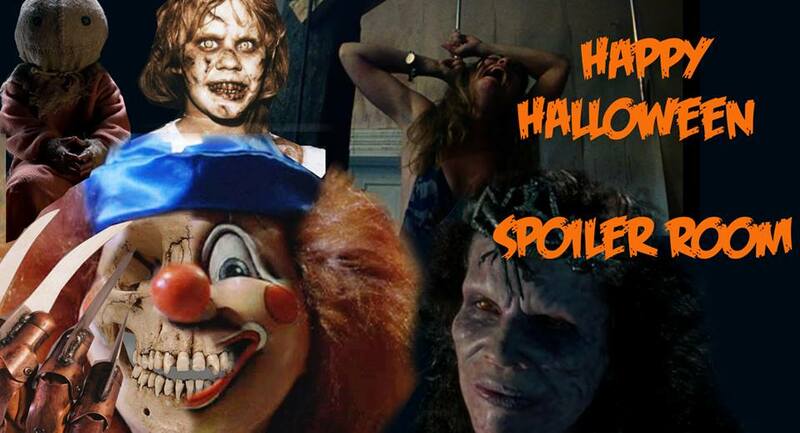 So, listen to this episode, heed our words, scare some kids and don’t get sick from candy. CHECK OUT THE EPISODE HERE AND HAPPY HALLOWEEN! Next Next post: Coming Soon to This Screen!